Northland Chipper Sales Ltd. is happy to work with Bandit Industries Inc. to bring their impressive line of stump grinders to our customers in Western Canada. All Bandit products are built with the highest quality of components reducing maintenance costs and increasing productivity. And of course we stand by them, and can provide service locally. We have over twenty years of experience with Bandit. We believe that you will benefit by adding some of their extensive line of hand fed Chippers and stump grinders to your operation. This style is light, quick across the ground, compact and maneuverable often going where other stump grinders fear to tread. 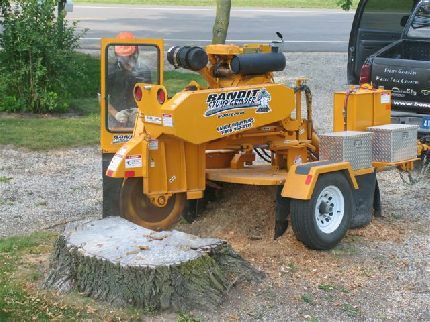 Customers will love the ease of operation and how it significantly reduces the effort required to grind a stump. Unique pivot-action base, Kohler 27 HP gas engine. Gas and diesel models from 27hp to 100hp. Now in stock, call for details! Compact high production stump grinder, Kubota 84.5 HP or Caterpillar 114 HP engine. These can easily be towed behind a standard pickup truck, and are easily maneuverable in tight locations. This unit features a 48-inch telescoping tongue that allows it to extend out into the stump without having to reposition. most compact towable stump grinder. This makes stump removal quick and easy. The track drive has a three-speed hydraulic drive system (creep, low, and high). Features 'turf-friendly' rubber track undercarriage. 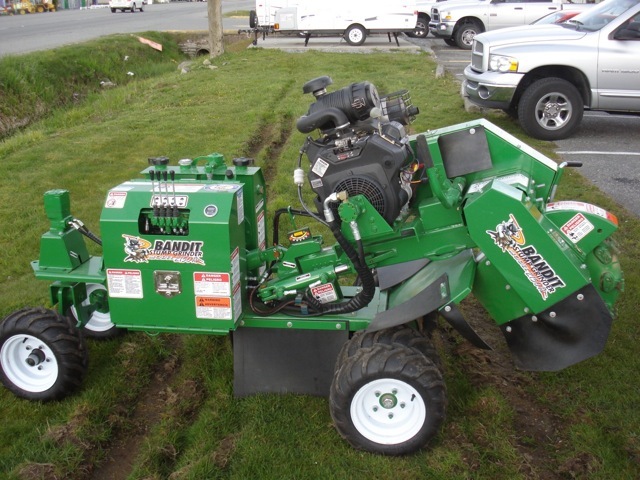 Bandit's most compact land clearing stump grinder. 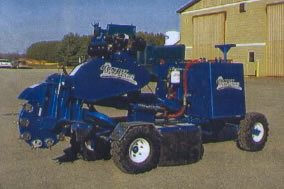 Whatever your stump grinder needs, Northland has the answer. 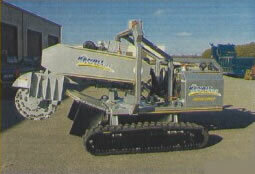 We can get stump grinder parts for various makes, including Bandit and Carlton and others. We also keep a stock of stump grinder teeth at all times, as you can never have enough teeth. Contact us in advance, and we can have the parts ready for you. If you need your equipment serviced, we can handle that as well. 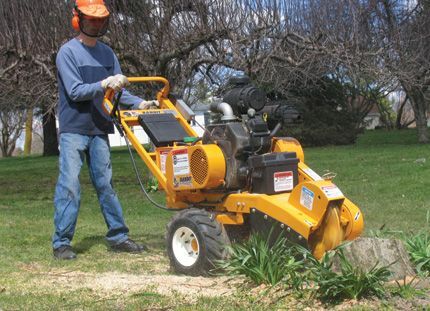 Are you looking for a used stump grinder?